Hi, my name is Vanessa and I have an addiction. It's been 10 days since I've last ingested an indulgent, satisfyingly delicious lump of golden premium European....cheese. Well it would be less than 10 days if pizza counts (which it does) #sorrynotsorry. I'm a fan of all these cheesy, from mac & cheese to a delicious warm fondue - this was my first time trying the infamous Raclette, the melted golden rich mess smothered the creamy potatoes with a side of crispy pancetta -- mmm! I ordered a flight of decedent whites - the Moscato and the Prosecco were standouts for me, primarily due to their sweeter side. Handpicked Wines will be melting cheese every Tuesday from 5.30pm - 10pm starting 20th of June until the end of July at the Cellar Door. 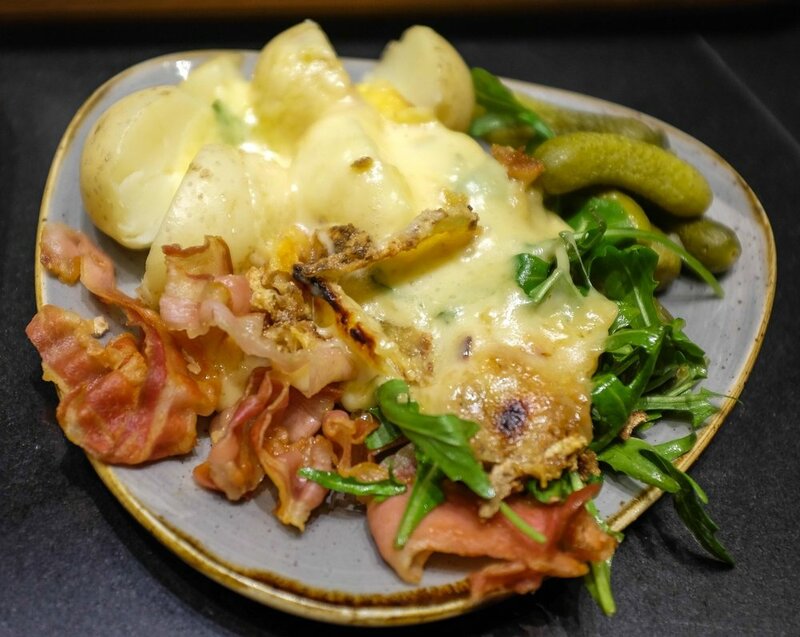 Melted raclette straight from the wheel served with pancetta, potatoes and pickles.